Sometimes genre classifications are not possible when it comes to describing the works of one of today’s most eclectic acts, phoenix/NEBULIN. Originating from Miami, Florida phoenix/NEBULIN continues to persevere in a region where little outside of the Latin music genre tends to flourish. As a band, Armando and Phoenix Doval offer a range of sound that blends the harsh, unforgiving drive of the industrial and metal genre with captivatingly melodic tones. Lyrically, they guide you through another portal into the recesses of their imagination and offer their point of view regarding the world that surrounds. Their live performances are exceptionally intense; delivering an unexpected power and emotion that fails to leave the audience less than astounded. The band, phoenix/NEBULIN, was an idea that became reality shortly after Armando and Phoenix Doval’s marriage on July 23, 2001. The initial songwriting process, much like everything else in their relationship, was quick and intense. They immediately created several musical compositions and released their first 5 track demo in September 2001. They performed several shows as a two piece before making the decision in December 2001 to take a long hiatus from live performances after discovering they were expecting their first child. During this time they directed their energy to the songwriting and recording process. 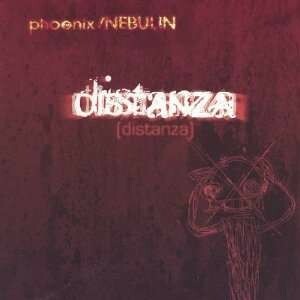 In October 2003 their debut full length album titled “Distanza” was released. 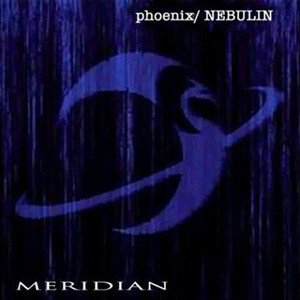 In November 2006 phoenix/NEBULIN released their sophomore album “Merdian”. On this album the band’s sound took a heavier hard rock approach. This left the duo with the difficult task of adding band members to their line up in order to successfully perform their work live. Various members joined the live line up but only guitarist James Wargacki had what it took to join the family. In the time following the release of “Meridian” phoenix/NEBULIN once again found themselves going through drastic changes. Unfortunately, this took away from the time used to focus on the songwriting process. With the demand from fans to release new material phoenix/NEBULIN decided to release an album of remixes and covers. In August 2009 they released “Lunacy”, an eclectic assortment of remixes, acoustic recordings, and covers of some iconic songs such as Simple Minds’ “Don’t You (Forget About Me)”, Cyndi Lauper’s “She Bop”, Billy Idol’s “Rebel Yell” and The Righteous Brothers’ “Unchained Melody”. The album also includes an emotional instrumental piece entitled “STS-51-L” inspired by the tragic Space Shuttle Challenger disaster in 1986. On April 24th, 2012, phoenix/NEBULIN released their fourth full length album entitled “Vitae”. On this album, phoenix/NEBULIN has elevated their sound to a new level taking musical and technical inspiration from various giants of the industry. With their first North American tour in support of “Vitae” the need for an additional guitarist became necessary. In December 2012 Stallon Silver joined the line up. After over a decade, phoenix/NEBULIN has seen many incarnations and has varied from one musical extremity to the other. Because of their extreme sonic diversity, phoenix/NEBULIN have been associated with a vast array of artists such as Depeche Mode, Nine Inch Nails, Evanescence, Def Leppard, and Sarah Brightman to name a few.